Here at Brew Ville, we take great pride in being Edmonton’s number one spot for over 700 flavours of single-serve beverages for your Keurig, including K-cups and coffee soft PODS, as well as capsules for Caffitaly and Nespresso systems. We spend countless hours perfecting our stock so that we have something for everyone. 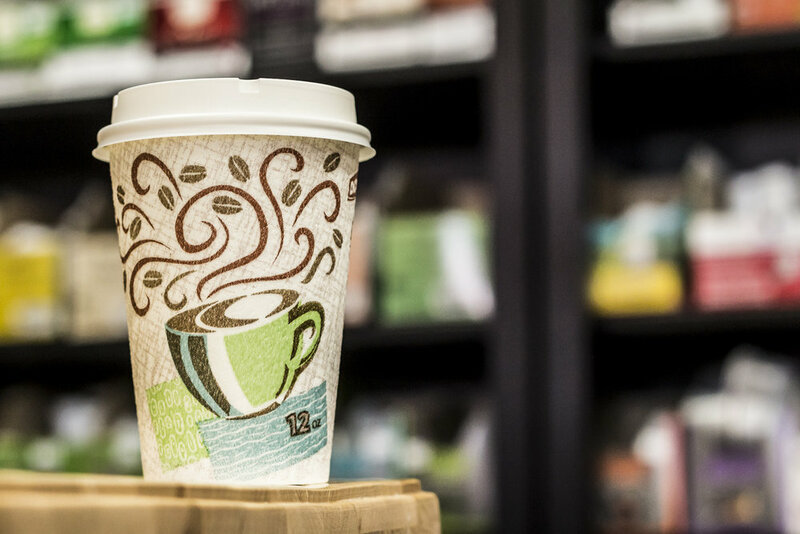 You can expect to find a wide selection of coffee, tea, decaffeinated coffee, herbal and decaffeinated tea, cider, hot chocolate, lattes, cappuccinos, and more. We also offer over 100 flavours of Torani syrups, including over 30 sugar-free flavours. Have a sweet tooth? We've got you covered with Chimes Ginger Chews and Coconut Hard Toffee, hard to find chocolate treats like Payday chocolate bars and Charleston Chews, honey sticks, Ice Chips candies sweetened with xylitol, flavoured sugars, and much more. Come by today and see for yourself! We've opened one of almost every box that we have in stock. From those open boxes, YOU are able to make your own variety pack. Grab a basket or carousel from our shelf, and start picking the flavours YOU want. Pick one, or pick 40 - prices vary depending on quantity. 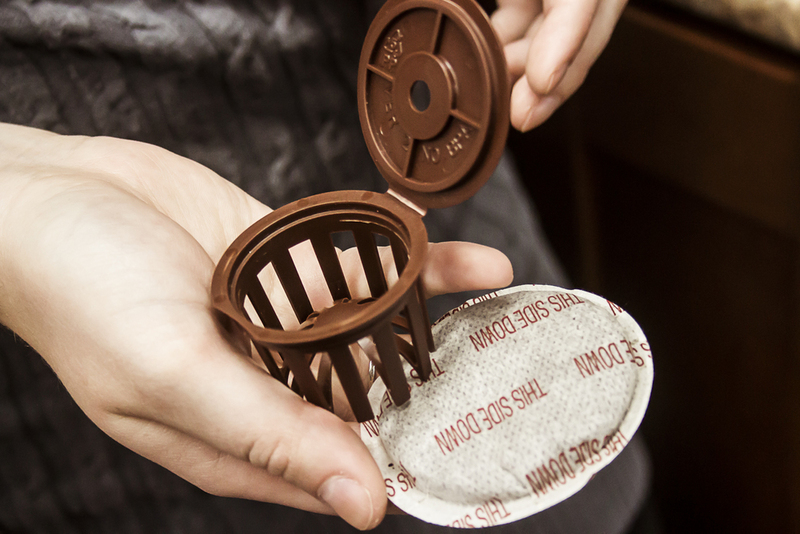 If you're concerned about the environmental impact of plastic pods, we carry environmentally friendly options: reusable adapters for soft pods as well as reusable filters for your own ground coffee. We also stock several 100% biodegradable pods that are Keurig compatible. While you are here, why not enjoy a hot freshly-brewed beverage? Choose any flavour from our extensive open-box selection and brew it fresh to enjoy while you browse or to take with you as a "Coffee-to-go". *We also have 2 single serve espresso machines on display. Hundreds of blends, roasts, and flavours to choose from! Regular and decaffeinated. Green, black, herbal, decaffeinated....in over 100 different varieties. Lemonade, cider, hot chocolate, lattes, capuccino, and much more. Over the last few years, there has been a large emergence in the Single Serve Coffee Market. Keurig, Caffitaly and Nespresso have found their way into millions of households across North America. The vast majority of coffee & tea that you see on store shelves is only a small percentage of what is available. We want to reach as many people as we can by bringing in as much variety as possible under one roof, while still remaining competitive with our pricing. We are proud to offer K-Cup recycling at Brew Ville! Join us April 6 & 7 for our Grand Re-Opening! Brew Ville To Re-Open March 1! Brew Ville Welcomes new ownership, a sale AND a contest! Put the coffee on, we're here to stay! We've said it before and we'll say it again: green tea is a powerhouse when it comes to flavour and function.